Link protects himself from Moblins, Bokoblins, and anything else he comes across with his trusted shield. Now you can protect your keys from being separated! 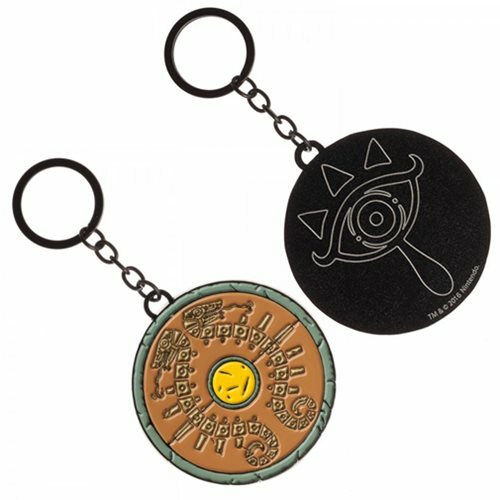 Charge into your day with the trusty Legend of Zelda Breath of the Wild Shield Keychain. Measures approximately 2 1/4-inches in diameter. Ages 14 and up.